These two Air signs can create a cool and breezy relationship. Aquarius’ detachment and Gemini’s desire to keep it light will ensure that they are never bogged down. And their mutual attraction to what’s different will keep things fresh. Sun in Gemini is always open to new possibilities. His energy is directed towards learning new ideas and meeting new people, but the turnover is fast. He samples one experience, then moves on to the next. In order to keep him around, his partner must be willing to engage in a continuous exchange of new ideas. But she needs to understand that emotional exploration makes him uncomfortable. Sun in Gemini can be a fun and devoted lover, as long as he has room to breathe. Moon in Aquarius is a rebel at heart, although this may not be obvious if her Sun is in a conservative sign (like Capricorn). But rest assured, at her core is someone who cannot tolerate traditional roles or limiting expectations. Despite her need for freedom, Moon in Aquarius excels at long-term commitment. But her partner must support her individuality. This means leaving her alone when she asks, and understanding that her version of love may not involve heavy-duty emotional bonding. The highest expression of Aquarian love involves lifelong friendship combined with unbreakable monogamy. Sun in Gemini will be delighted and encouraged by Aquarius’ hidden quirks; she’ll keep him guessing while inspiring him to tackle new ideas that he never considered. 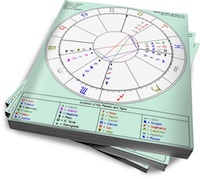 Moon in Aquarius will feel reassured by Gemini’s desire to look beyond their relationship (to keep himself entertained). She won’t be jealous of his extensive social network, and will treasure the time she has to herself. When they come together, they’ll always have new experiences to share and will remain intrigued with each other. More importantly, they’ll give each other freedom to choose, so they’ll choose to stay together. I have my moon in Aquarius…thanks for this…I did some research on compatibility with my moon sign and the sun sign that is most compatible with my moon sign is Gemini (according to my research).